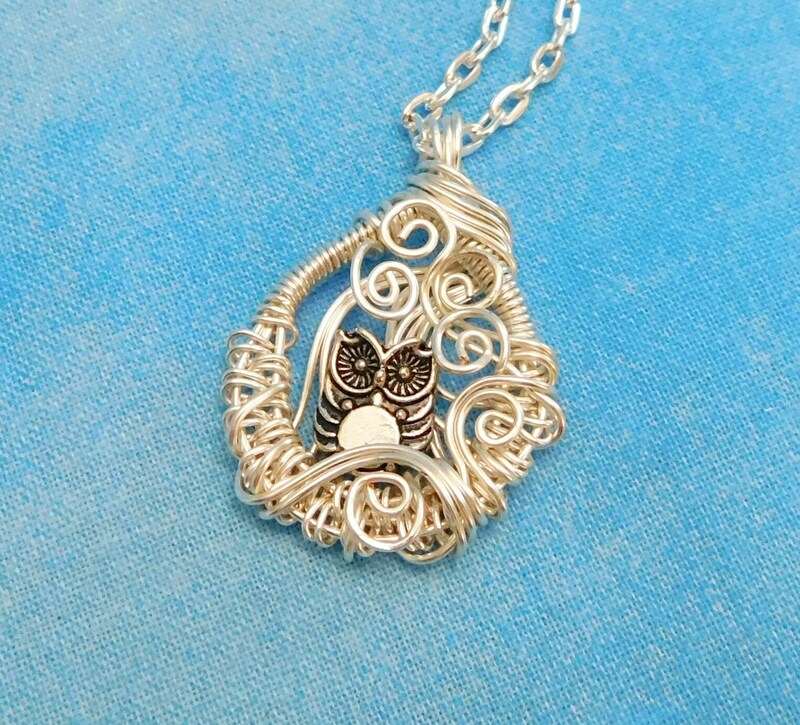 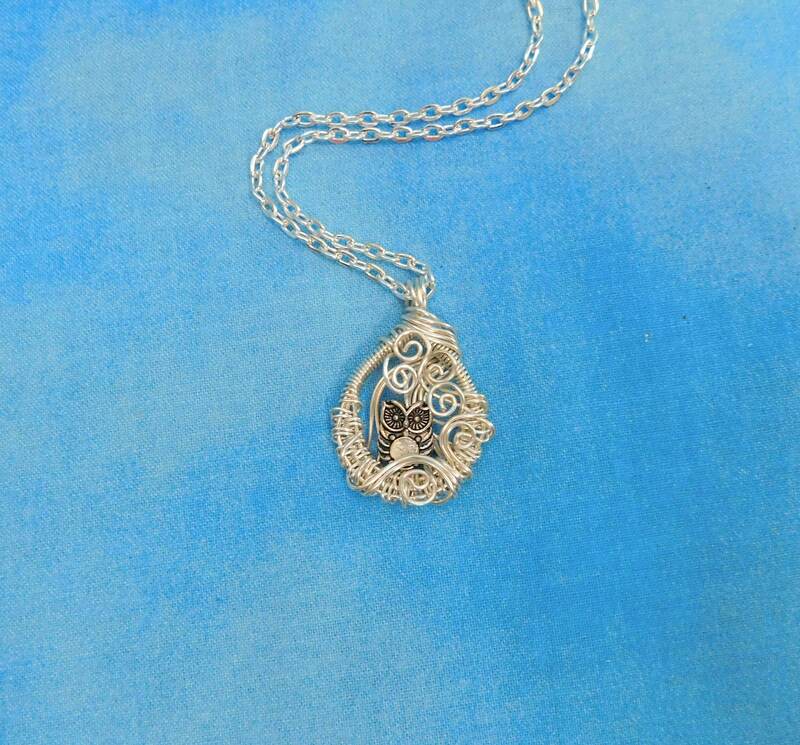 A tiny owl peeks out from a delicately hand woven frame of fine silver over copper wire. 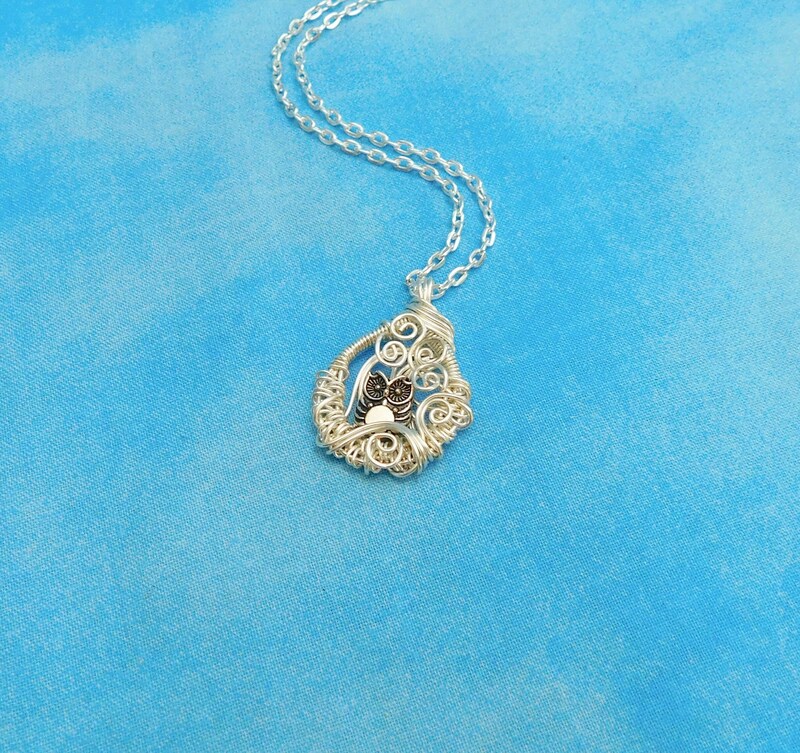 This small artistic piece is meticulously artisan crafted and comes with a FREE coordinating chain with lobster claw clasp, measured to your preferred length. 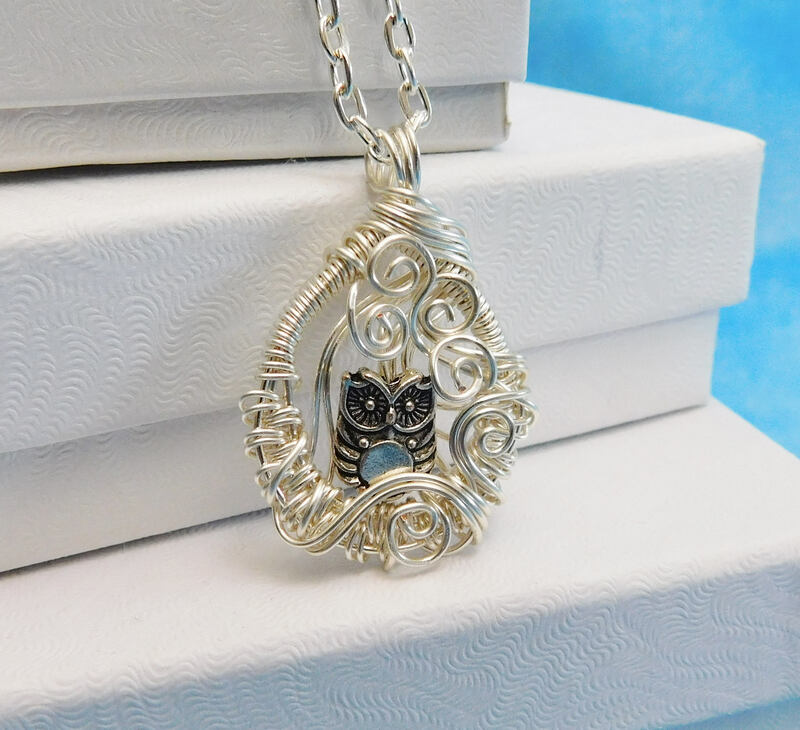 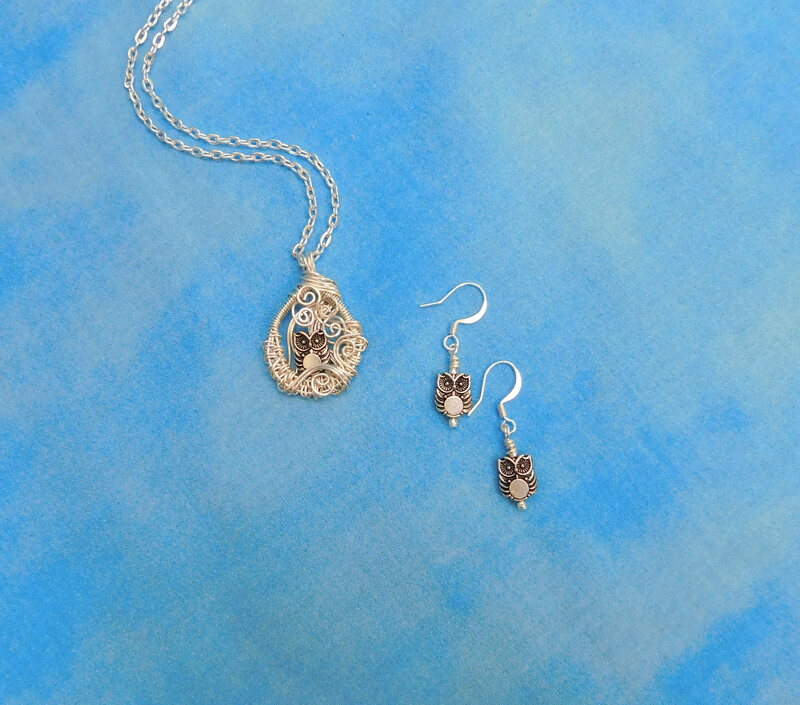 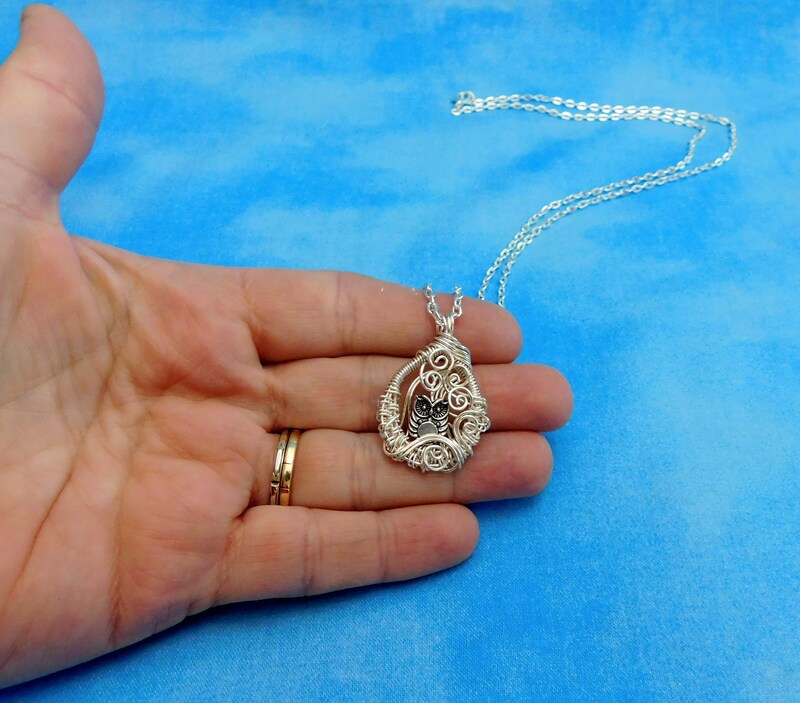 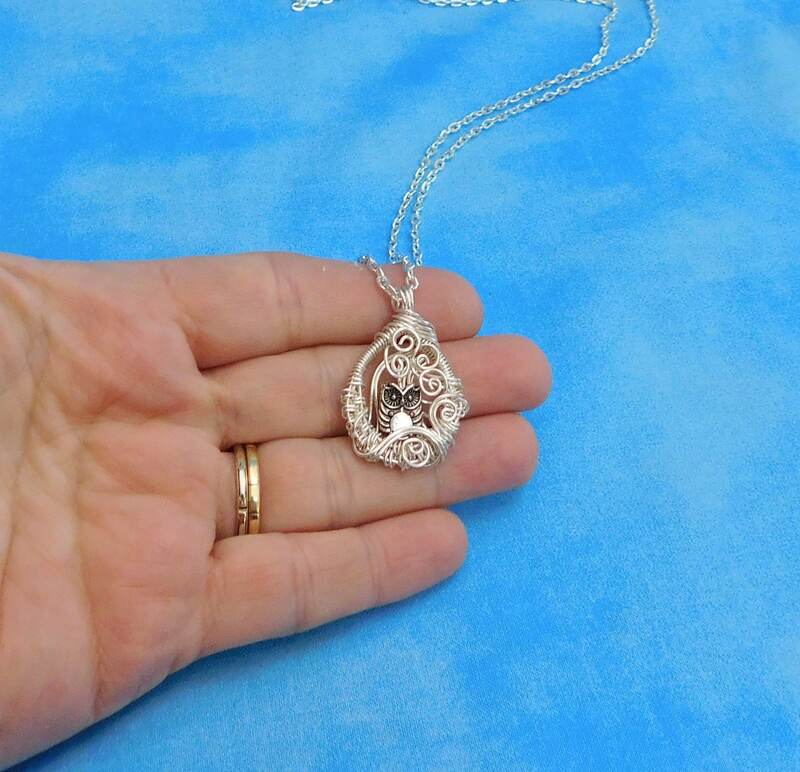 The owl measures a little over 1/4 inch high by 1/4 inch wide, and the entire pendant measures 1 inch by 1 inch. 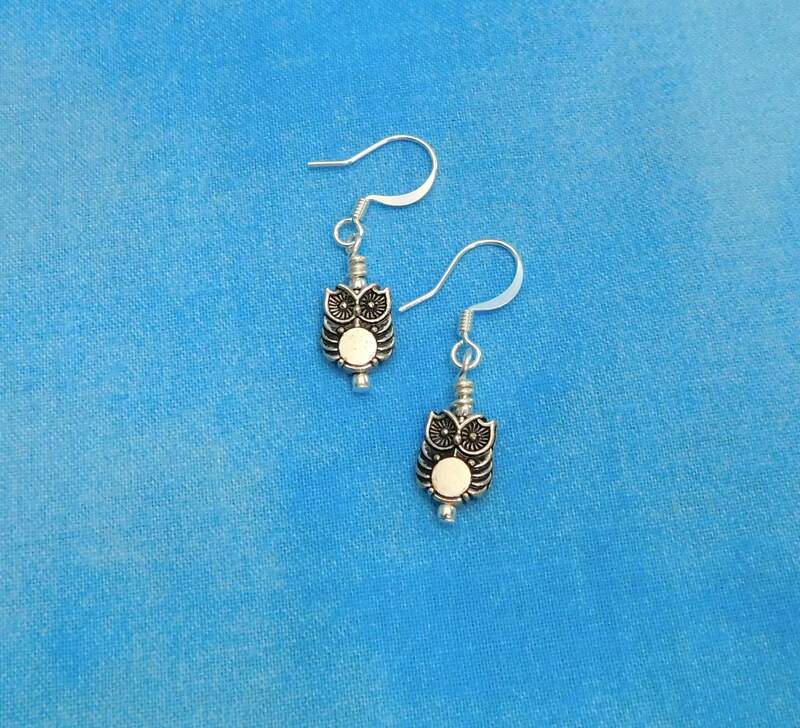 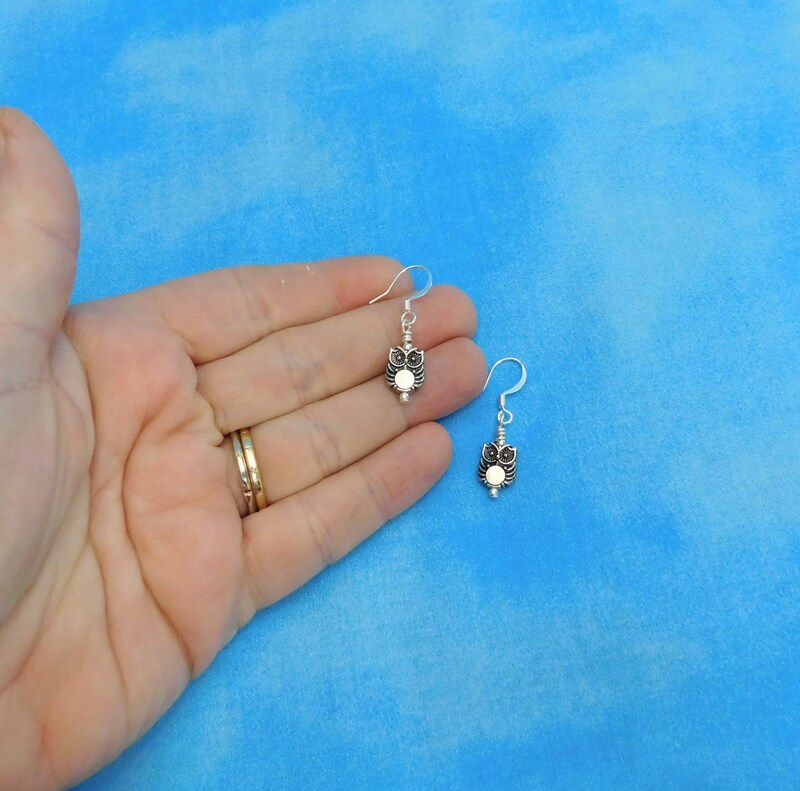 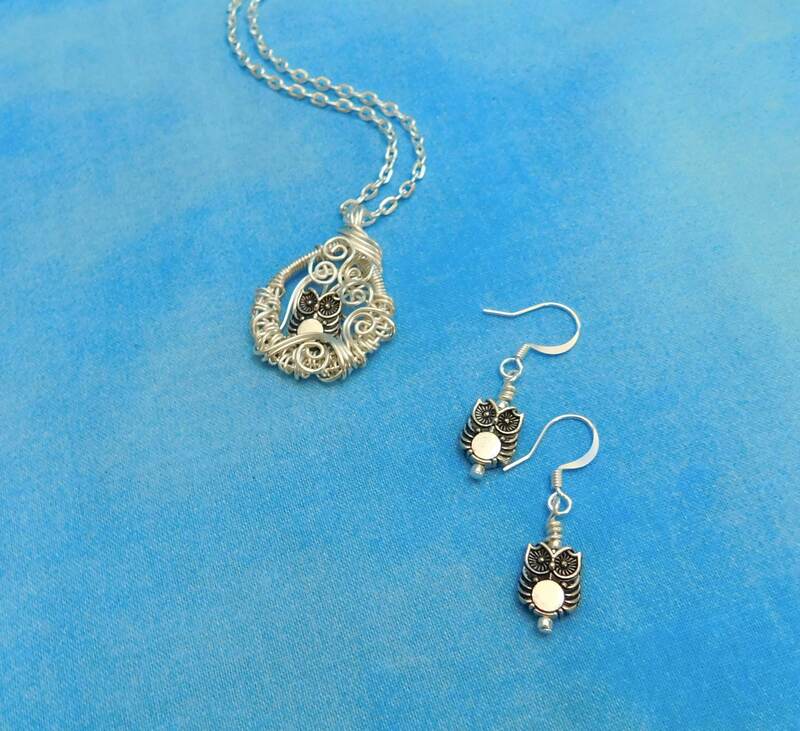 Each of the owl earrings measures 1/4 inch each.